So, now that summer is over (northern hemisphere), was yours, well, f***ed up? RUMEX understands. Don’t miss the surreal, now award-winning video from this young, now-as-yet-unknown Hungarian artist. RUMEX is a self-described “girl from nowhere,” otherwise known as Fanni Fazakas. 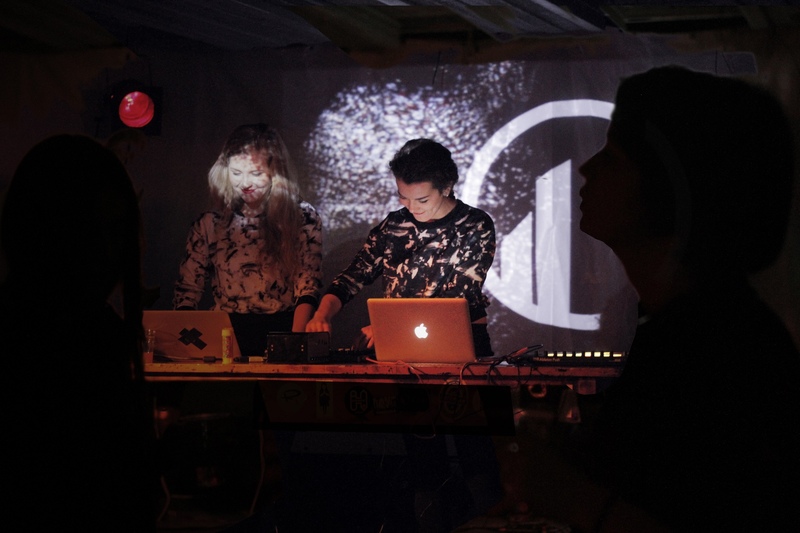 Fanni joined us in the Serbian woods for plusplusplus Festival as the guest of CDM, as well as at our own MusicMakers Hacklab in Berlin at CTM Festival hosted with Leslie García. This is the kind of emerging talent that can put us old guys (ahem) to shame now and then. It was in Serbia I got to know her musical side – in just 24 hours, she assembled field recordings of the woods into a convincing impromptu Ableton Live set and had people dancing in the grass and dirt. The slick video is actually just the work of Fanni and one other camerawoman, Szigethy Márton. The two of them, with some help of her family and some models, slapped together this surreal piece of pop cinema as a no-budget, five-day shoot for Fanni’s diploma project. She tells us there was quite a lot of work involved – transforming a thorn bush into a raspberry plant and hauling 120 liters of water into the middle of a field. The result is a surrealist answer to the usual song of summer, the usual tropes and clichés unraveled into a mad dystopia. Fanni’s other side is a background in media design, with strong interests in generative music and visual programming – much of it more experimental than what you see and here here. 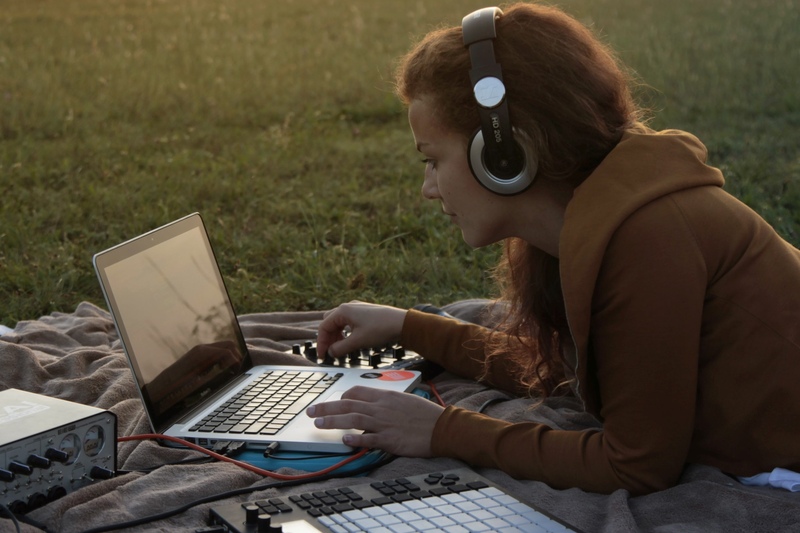 But she’s also at ease DJing in clubs from Budapest to the Netherlands, and she’s a regular at music hackathons. Now, spurred on by collaborations at the CTM Festival, she’s building a full-length live act with neuro- and bio-feedback, plus finishing an EP. And, judging from this other video she published this month, it’s possible she’s some sort of Ableton Push-owning digital avatar. 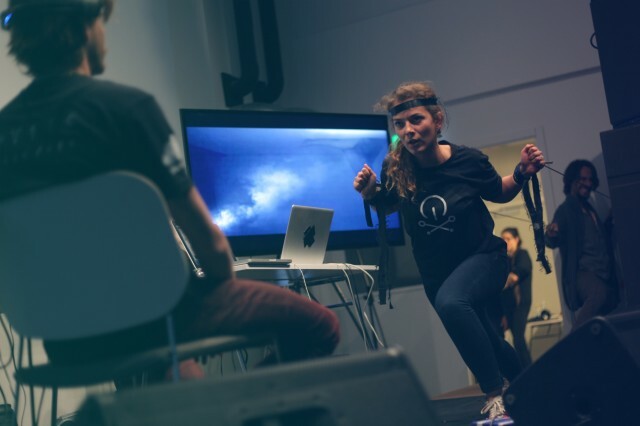 Too many tech events — it’s possible she’s just crossed over partially into the digital domain. I can relate to that.